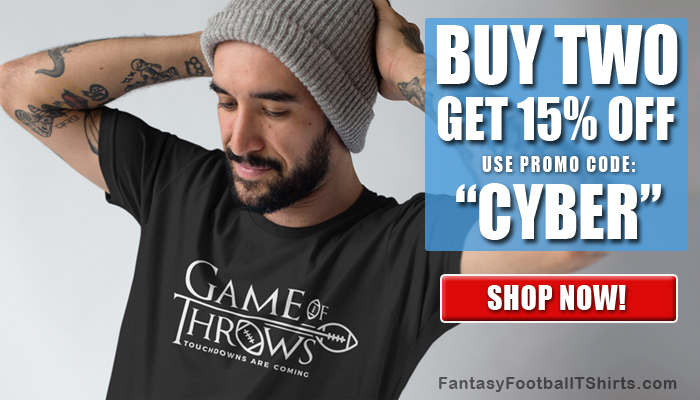 Injuries to skill positions have forced fantasy football owners to pick up practically anyone off the waiver wire in recent weeks, and with the playoff picture officially developing, they can’t afford to have their defense become the weakest link. Preseason rankings have already been thrown out the window, so it’s time to take a closer look at which defense is going to perform on a week-to-week basis rather than leaning on a top-end defense to get the job done regardless of the matchup. Rolling into the home stretch after 10 weeks of play, the Denver Broncos and the Minnesota Vikings claim the top two spots in terms of total fantasy points, respectively. Inconsistency reigns supreme for a majority of the defenses beneath them, so it’s important to look at even the worst defenses in the league heading into a favorable matchup this late in the season. The Arizona Cardinals will travel to U.S. Bank Stadium to take on the Minnesota Vikings on Sunday, an NFC matchup that will feature two of the top defenses in the league. 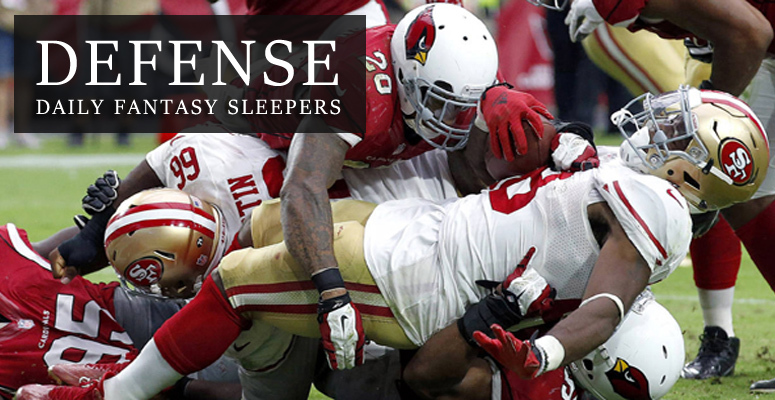 Because the Cardinals’ defense hasn’t accrued the same hype as the Vikings’ defense, they surface as the sleeper defense in this affair. Arizona has the second ranked defense in total yards (295.2) and passing yards allowed per game (232.6). In contrast, quarterback Sam Bradford and his Vikings have put together the 32nd ranked total offense (302.3), as the absence of running back Adrian Peterson has dramatically affected their ability to move the football with success. With Jerrick McKinnon and Matt Asiata splitting reps in the backfield, the Vikings’ rushing attack is averaging just 69.8 yards per game (32nd), forcing Bradford to put their offense on his arm. Bradford’s arm can barely lead a productive passing attack let alone an entire offense. Neither team should pull ahead early in this game because of the level of talent on both defenses, but if there was going to be one offense to underperform, it will be the guys in purple. The Miami Dolphins haven’t flourished as a defensive powerhouse this season; however, it won’t take much for the ‘Fins to keep the Los Angeles Rams out of the end zone. Rams rookie quarterback Jared Goff is expected to earn his first career start against Miami on Sunday, and Dolphins interior defensive lineman Ndamukong Suh isn’t planning on welcoming him into the league with anything special. Unfortunately for Goff, no Rams quarterback has felt comfortable in the pocket this season, so Suh placing an added emphasis on attacking the quarterback this week could lead to a poor debut for the former No. 1 overall pick. Through 10 weeks, the Rams have mustered the 31st ranked offense in terms of total yards per game (308) and the 32nd ranked scoring offense (15.4), falling short of the mark both throwing and running the football. Look for Suh to lead the Dolphins’ defense into a battle against an inexperienced lieutenant Goff. The casualty count should appear lopsided. 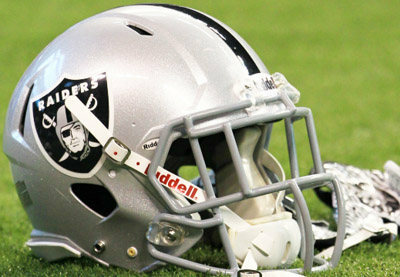 With a dominant defensive performance against the Denver Broncos on Sunday Night Football now under their belt, the Oakland Raiders will look to build on their defensive success again in primetime against the Houston Texans on Monday Night Football in Mexico City, Mexico. Coming off a bye in Week 10, the Raiders will carry their improved, healthy defense across the border to take on a Texans offense that is averaging just 308.8 yards per game (30th) and 17.9 points per game (29th). Raiders No. 2 cornerback Sean Smith and defensive end Stacy McGee are both expected to be healthy against Houston despite missing several games due to injury. With Smith and McGee back in the lineup, the Raiders’ pass defense should see a solid jump. Smith, a former Pro Bowler with the Kansas City Chiefs, will reclaim his starting role outside the hashes, which will allow fourth-year corner D.J. Hayden to return to the slot, positions they have both thrived in this season. Also, McGee’s return to the rotation at defensive end should positively impact the Raiders’ ability to both attack the quarterback and play the run. However, even without McGee in the starting lineup, Oakland has shown significant improvement when defending the run, allowing just 74.33 yards per game in their last three games. To effectively limit the Texans’ offense, the Raiders must focus their efforts on limiting Houston’s lead back Lamar Miller, as he has been the lone bright spot within their offense. With former Broncos quarterback Brock Osweiler under center, the Texans have put together the 32nd ranked offense in passing yards per game (187), leaving Osweiler to earn a majority of lucrative contract handing the ball off to Miller. The former Miami Dolphins back has found new life with Houston, as Miller leads the Texans with 720 rushing yards and two touchdowns on 168 carries. Riding his coattails, Houston’s rushing attack ranks fifth in the league in average yards per game (121.4). Because Raiders defensive coordinator Ken Norton Jr. can afford to load the box against Osweiler and the Texans’ poor passing attack, he should find it easy preparing to contain Miller, especially with the return of Smith and McGee. The Dallas Cowboys have strung together eight consecutive wins since dropping their season opener to the New York Giants, and their defense has significantly improved within that span because of their ability to stay healthy and dominate offensively. Cowboys running back Ezekiel Elliot has taken the league by storm, as he has accumulated 1,005 yards and nine touchdowns on 198 carries. Because of his dominance, opposing defenses have struggled to keep Dallas’ offense off the field. Dallas ranks sixth in the NFL in first downs per game (20.9) and total time of possession per game (32:17). Defensively, the Cowboys have done their part to keep opposing offenses from stringing together long drives, as they have allowed opponents to convert on just 35 percent of third downs (5th). The return of veteran linebacker Sean Lee has had a drastic effect on Dallas’ defense, for his ability both in coverage and against the run is unmatched. He currently leads the team with 86 combined tackles, and the player second on the team in tackles has just 45. Due in large part to Lee’s presence in the center of their defense, the Cowboys have allowed just 82.6 rushing yards per game (3rd). With the Baltimore Ravens’ 27th ranked offense in terms of total yards per game next on the schedule, the Cowboys should easily prevent Baltimore from putting up big numbers on the scoreboard. Coming off an impressive win in Foxborough against the New England Patriots, the Seattle Seahawks will return home to take on a struggling Philadelphia Eagles team that has lost three of their last five games, but it won’t be the Seahawks’ offense that outperforms the Eagles this week. Through 10 weeks this season, the Seahawks have failed to replace Marshawn Lynch’s production in the backfield, as they have put together the 30th ranked rushing attack, leaving their quarterback Russell Wilson to try and pick up the pieces. With running back Thomas Rawls expected to return against the Eagles, Seattle’s rushing attack could see a jump in production, but it’s unlikely that his play will dig their 23rd ranked offense out its current hole, especially against Philadelphia’s front seven. Rawls carried the ball 19 times for just 25 yards before suffering a serious fibula injury. Led by linebackers Jordan Hicks and Nigel Bradham, the Eagles’ defense haven’t allowed teams to have much success on the ground, forcing opposing offenses to throw the ball against their star-studded pass defense. Riding the backs of defensive tackle Fletcher Cox and edge-rusher Brandon Graham, opposing quarterbacks have struggled to find comfort in the pocket, and because of the constant pressure, their success through the air has been limited. 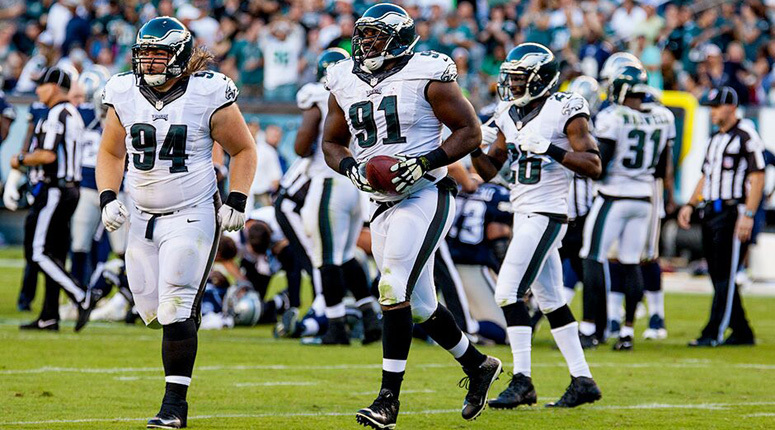 Philadelphia has the seventh-ranked passing offense in terms of yard per game (222.4). The Eagles have allowed just 323 total yards per game this season (6th), and we shouldn’t see anything different come Sunday.